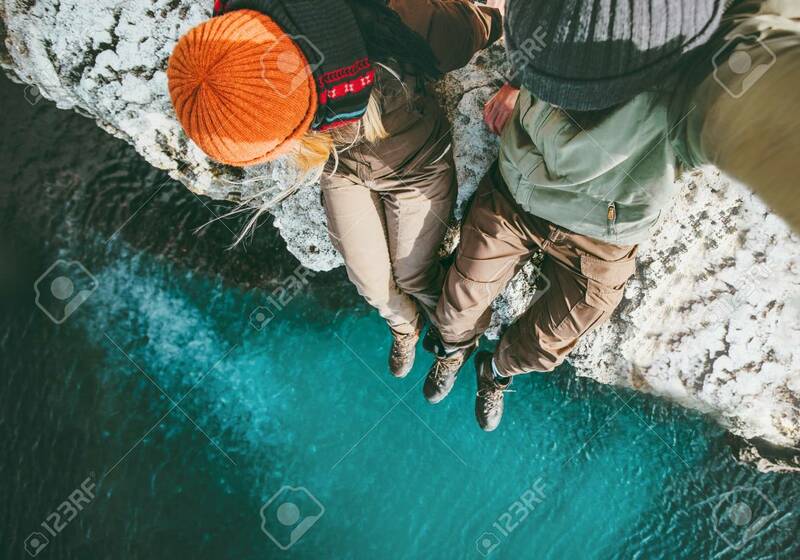 Couple In Love Man And Woman Sitting Together Above Sea On Cliff Travel Happy Emotions Lifestyle Concept. Young Family Traveling Romantic Vacations Autumn Winter Season Aerial View Banque D'Images Et Photos Libres De Droits. Image 87701987.